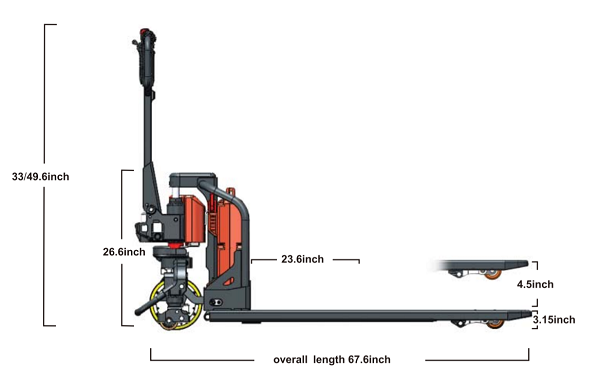 The NOBLELIFT Fully Motorized Heavy Duty Pallet Truck comes with a power drive and lift, all in a very compact footprint while also being lighter than comparable electric pallet jacks. 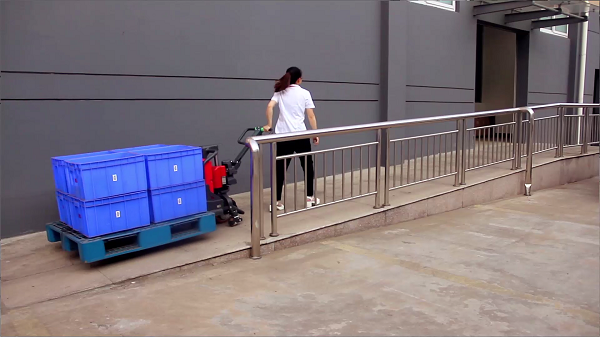 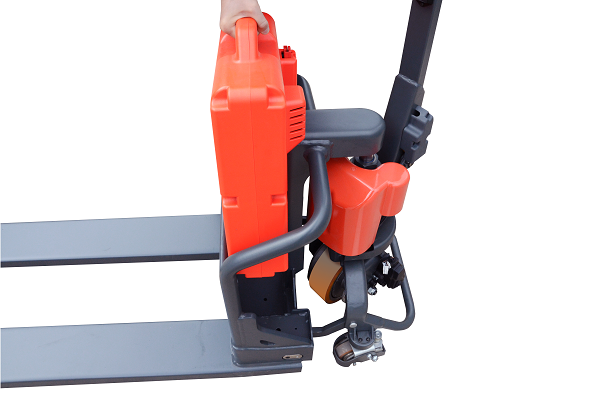 It uses an electric pump to lift your loads easily and quickly. 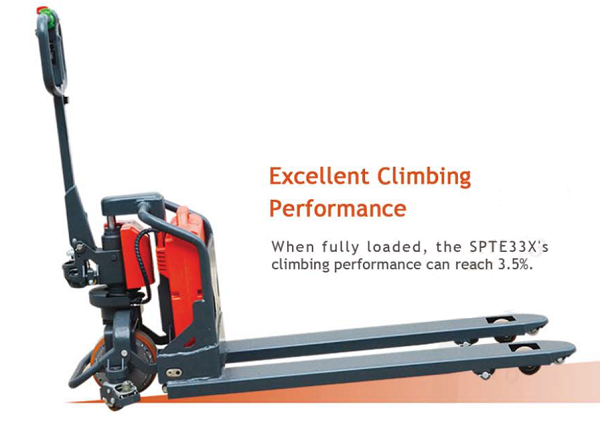 The pallet truck is built for lifting and transporting loads reaching up to 3,300 lbs anywhere you want without breaking a sweat. 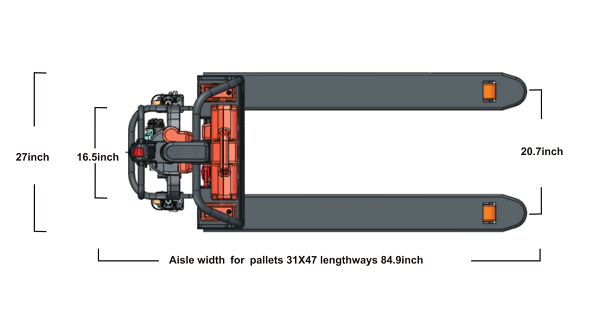 or you can get a fully powered 27"wide jack here. 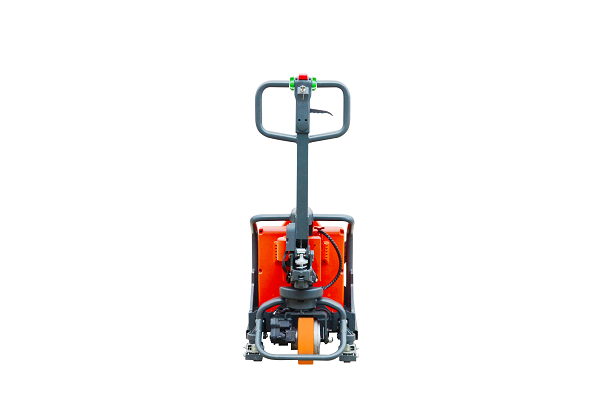 Battery lasts for about 3.5 hours of continuous usage and an optional extra 48V battery pack is recommended for you to be able to use the pallet truck all day long. 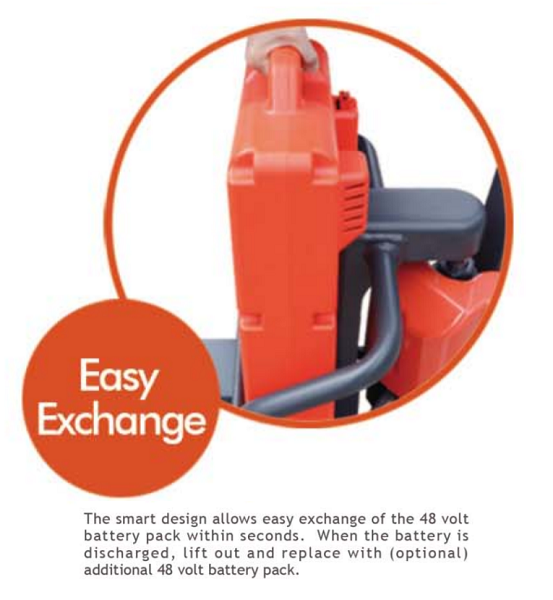 A digital battery indicator found on the handle bar helps you check whether or not the battery needs charging. 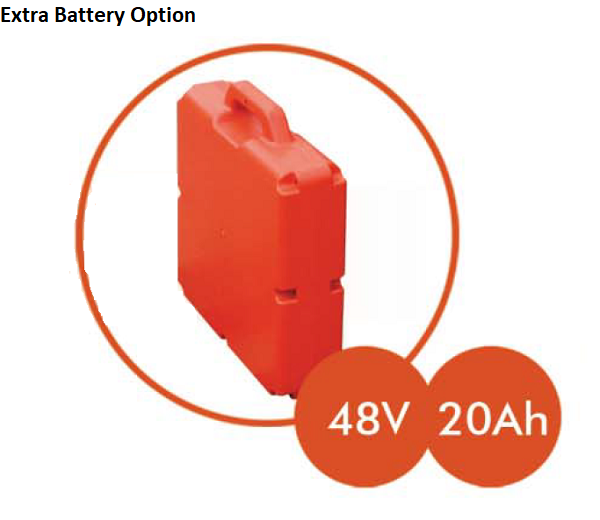 Its skeletal design and open structure allows it to become lighter to improve its overall performance, battery life and flexibility. 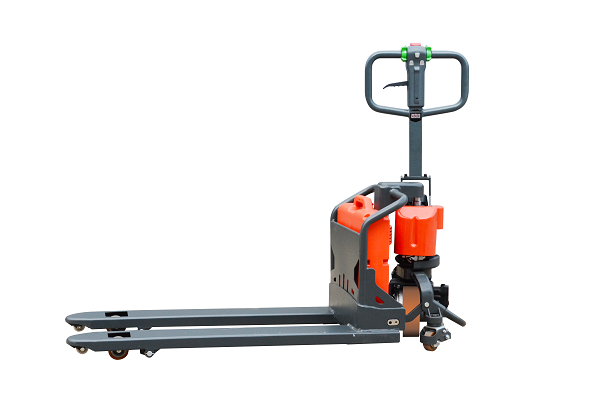 This pallet truck with its compact design and small turn radius makes it great for any type of work whether in tight quarters or minimal space is available like warehousing, food stores, retail stores, manufacturing and any material handling job you could think of. 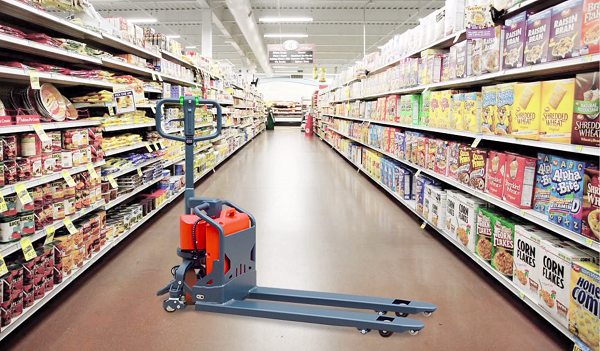 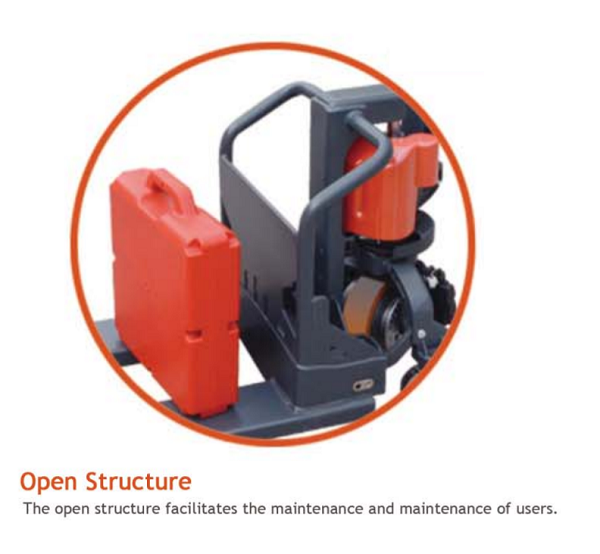 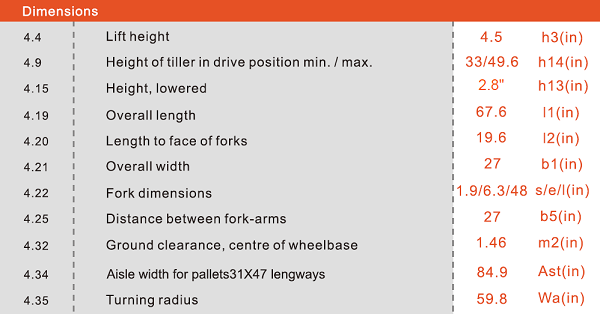 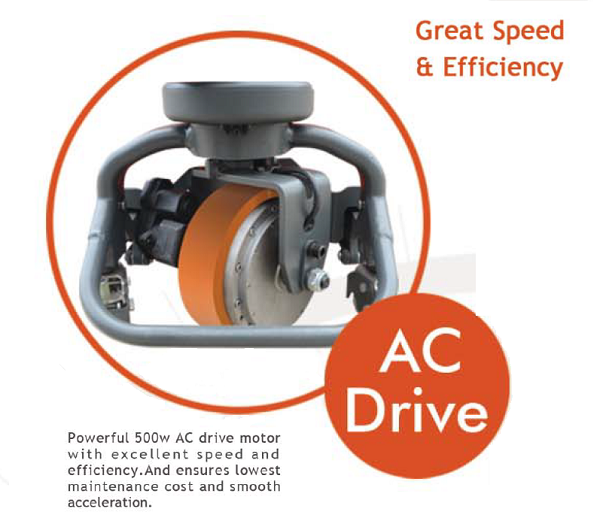 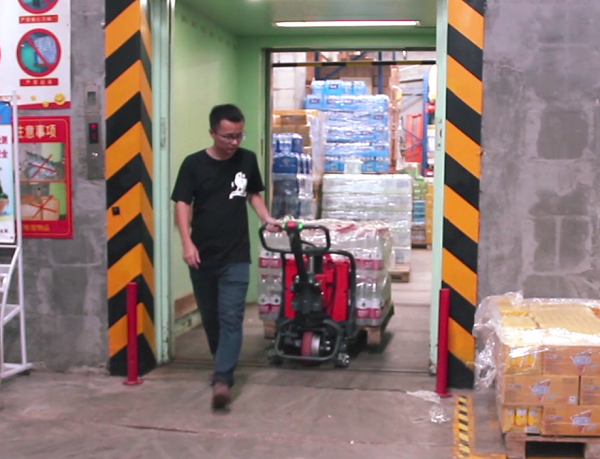 The NOBLELIFT pallet truck has a 500W AC motor powerful enough to drive it to 3 mph. 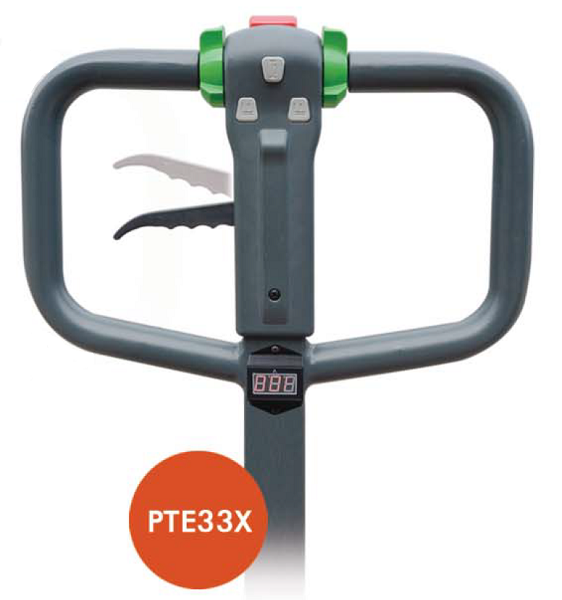 It also has an ergonomic and smart handle bar where you could find the lifting button for both right-handed and left-handed operators to control the fork lift and dual butterfly-style thumb controls for convenient traveling.